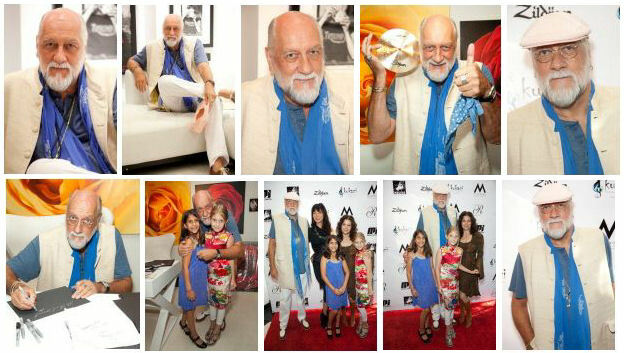 Mick Fleetwood attended the opening reception last night in Beverly Hills for Mouche Gallery which presented his own art in the exhibition called "Rhythm of A Rose". Pictured below with Mick are his two daughters Tess and Ruby along with Micks wife Lynn and Mouche Gallery owner Keiko Noah. Looks like Mick and Lynn may be getting or have already called off the divorce. I wish them the best of luck.